Whether you’re finishing your basement or simply sprucing it up a little, one of the more difficult decisions you face is what to do about your concrete basement floor. Your basement slab is subject to all sorts of outside threats like water damage, fluctuating temperatures, and house pests. Instead of worrying about moldy carpet, tiles that don’t adhere, or vinyl that shrinks due to extreme temperature changes, why not consider coating your concrete slab with basement floor epoxy? Basement floor epoxy is a wonderful way to protect and insulate your basement floor while adding a dash of panache to complement your décor. To schedule your basement floor epoxy coating in MD, VA, PA, or DE, give us a call today at (443) 519-2628! Basement floor epoxy coating is the ideal way to protect your concrete from stains, degradation, and damage while providing an insulating seal to ward off the dampness to which many basements are prone. Your basement floor epoxy coating is installed in 2 to 3 days and provides a lifetime of beauty. Your new epoxy floors will be very low maintenance and virtually indestructible, you won’t ever have to worry about cracks or peeling. Basement floor epoxy coating is ideal for your basement refinishing, whatever your ideas may be. Our on-staff chemists have formulated a floor coating so durable it’s made to withstand extreme temperatures, heavy machinery, and many other threats. Our strong and protective basement floor epoxy can take a beating and still look as brilliant as the day it was installed. Our installation team is thorough in their approach to applying your new basement floor. We install your basement floor epoxy in the same way we install epoxy floor coating for any of our customers—residential, commercial, or industrial—with your complete satisfaction in mind. First, we prep your floor by grinding away the surface to get to the porous concrete underneath. This allows the basement floor epoxy to form a permanent and impenetrable bond with the concrete base. Secondly, we level your floor, fill in any cracks, and make any needed repairs to your current flooring. Thirdly, we apply our epoxy floor coating. Our coating is made resilient by a combination of poly-resins and hardeners, which thoroughly adheres to your slab, forming a strong plastic-like coating. Lastly, we will apply a commercial grade sealant as the top coat. Upon completion, you can begin enjoying the benefits of basement floor epoxy coating. 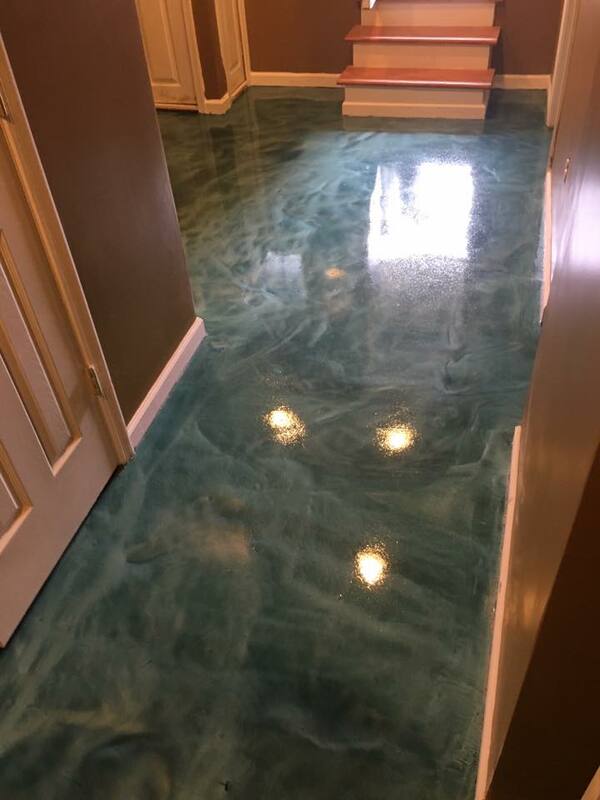 To receive an estimate on your basement floor epoxy coating project, contact us online or give us a call at (443) 519-2628. Basement floor epoxy coating for your home is the perfect answer to your flooring needs. Water damage, ground shifts, and temperature changes will no longer cause you to worry. Your floor is safe, protected, and will last a lifetime when you choose basement floor epoxy coating by Prestige Floor Coating. We’ve been in the floor coating business for over 16 years, and proudly claim thousands of satisfied customers. We’re so sure of our product that our basement floor epoxy coating comes with a lifetime guarantee against peeling. 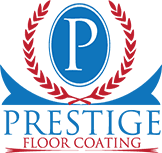 For more information on protecting your basement floor with strong and fashionable epoxy floor coating, call Prestige Floor Coating at (443) 519-2628 or contact us online today!